Merkel and Trump have ideological differences, and since the meeting Merkel has seemed to sour on Trump and the US’s role in Europe. In a long investigation detailing Trump’s interactions with his White House staff, the Post’s story cites several officials who said that while National Security Adviser H.R. McMaster briefed Trump on issues Merkel would likely raise, the president got up and went to the bathroom. Merkel and Trump clash on ideological issues, with Merkel inviting more than one million refugees from the Middle East to take residency in Germany and Trump banning refugees from Syria entirely. 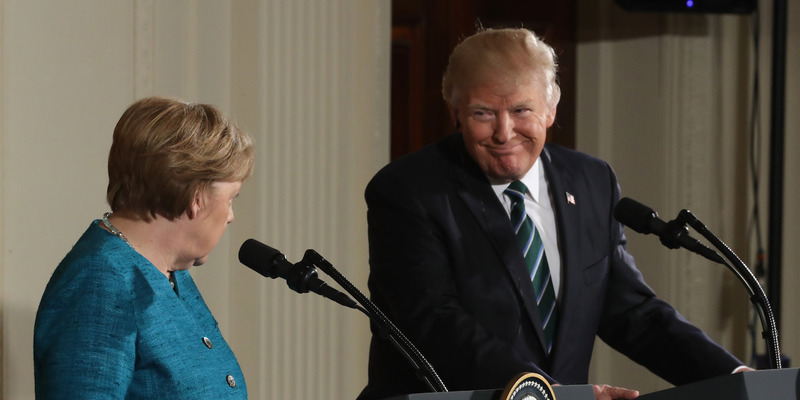 Trump has aligned himself with Brexit and NATO scepticism, while Merkel strongly promotes the European Union and NATO. Since the meeting Merkel has said largely negative things about the US. In May, after the G7 summit and Trump’s refusal to join the Paris agreement, Merkel said the US was no longer a reliable partner. Read the full inside story of Trump’s first year in office at the Washington Post.